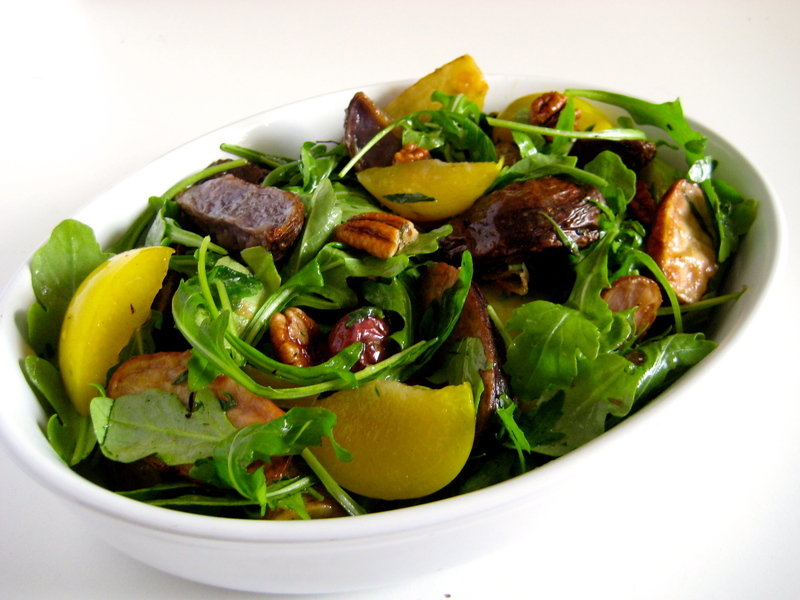 They’re perfect for cobblers, ideal for eating out of hand, and taste great on the grill, but thinking outside the culinary box lets golden plums shine in a savory salad featuring local, seasonal ingredients. Cut the potatoes in half length-wise—if they are large, cut them in half width-wise, as well. Toss with the olive oil. Spread in a single layer on the baking sheet and sprinkle with salt, pepper, and about 2 tablespoons of the savory. Bake for 35 to 45 minutes, stirring every 15 minutes, under crispy on the outside and tender on the inside. Set aside to cool. Once the potatoes have come to room temperature, put them in a large bowl. 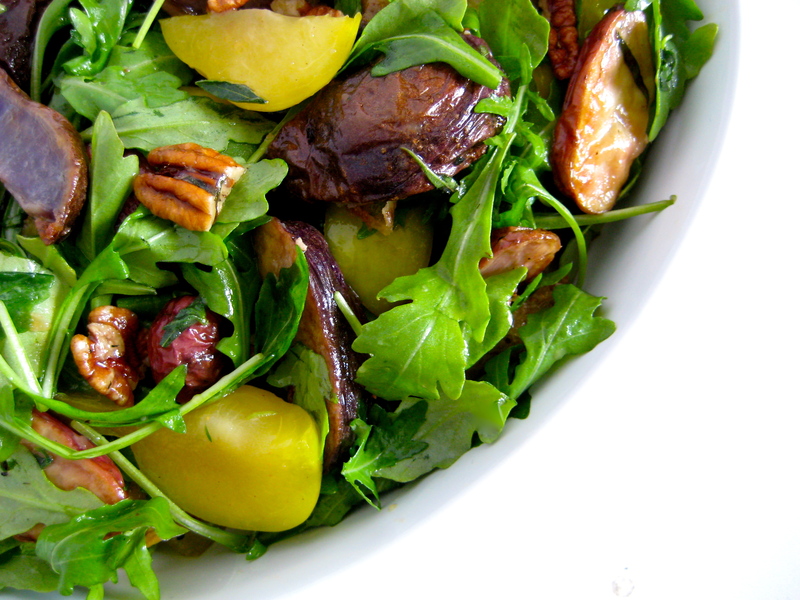 Add the remaining savory, the plums, pecans, and arugula. Toss to combine. To make the dressing, put the maple syrup, vinegar, and mustard in a small container. Whisk well to combine. Add the olive oil in a steady stream, whisking constantly, until well blended. Season with salt and pepper to taste. Drizzle on the salad, using as much or little as desired. Let stand about 1 hour. Enjoy at room temperature. This not only looks beautiful, it tastes soooooooo good! !